Order your sample pack today and experience the design, paper and print quality for yourself, prior to placing your order. 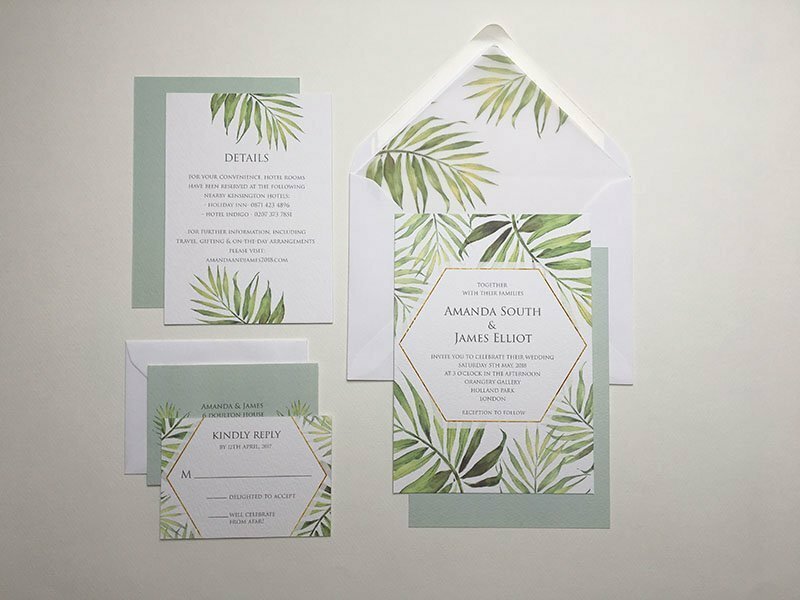 The Coco Palm invitation suite is a contemporary, faded palm print Wedding Invitation suite, featuring a hexagonal centre panel and a fine faux-gold border line. 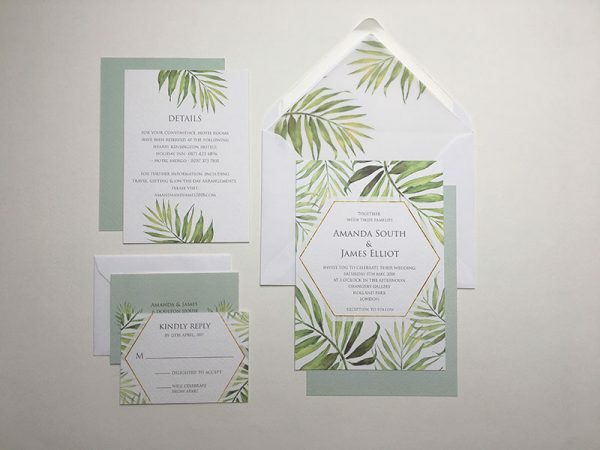 This is the perfect botanical suite for a Glasshouse or Orangery wedding, or a tropical destination wedding. 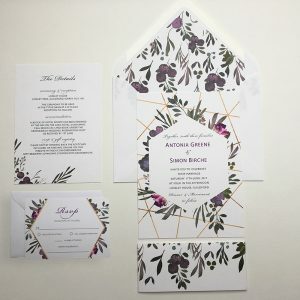 When you purchase your invitation sample pack, you will receive a discount code, which you can use when you decide to place your invitation order – the cost of your samples will be deducted from your order at the checkout. Click here to learn more about the order process. 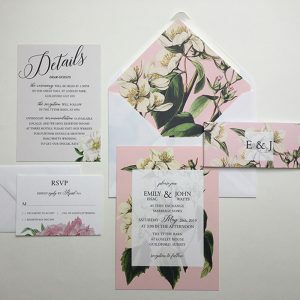 Sample Pack: Invitation, RSVP card, details card, main envelope, RSVP envelope, envelope liner and belly band. **please note: if we do not have a piece of the collection in stock at the time your order is placed, we can substitute an item from another suite but will notify you before delivery.